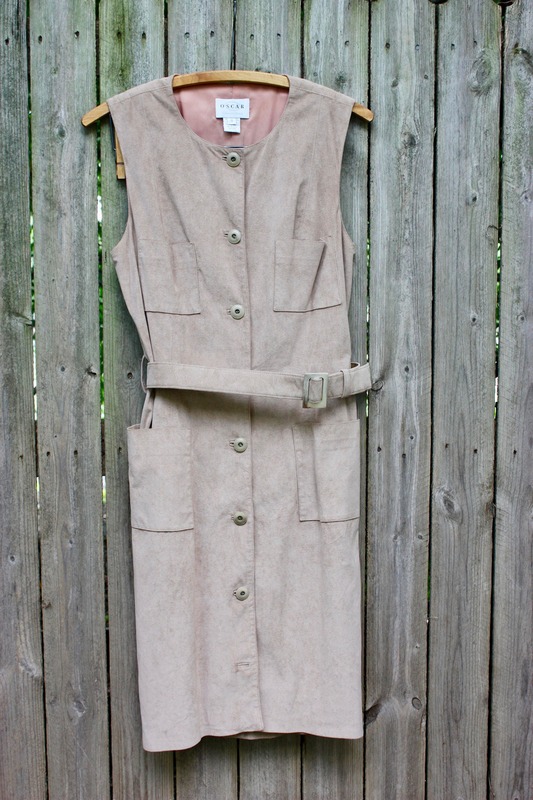 Oscar De La Renta Faux Suede Taupe Button Front Dress with Belt. Size 8. 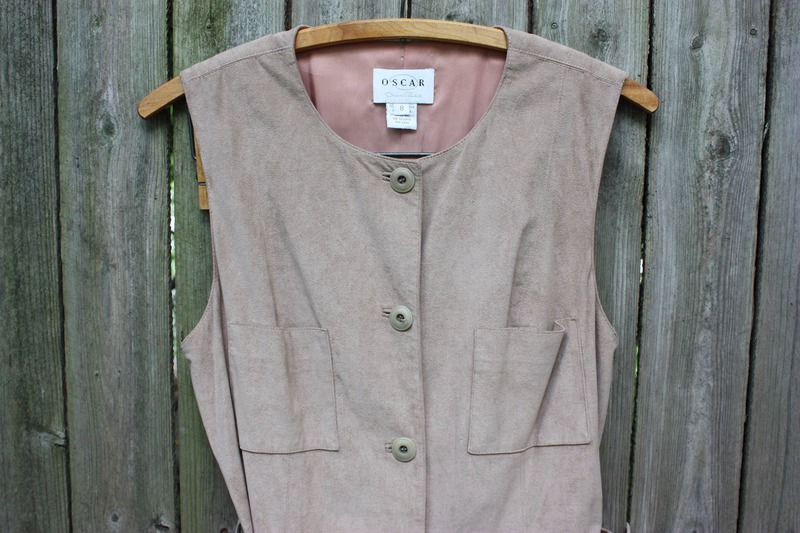 Square Pocket Details and Matching Belt. 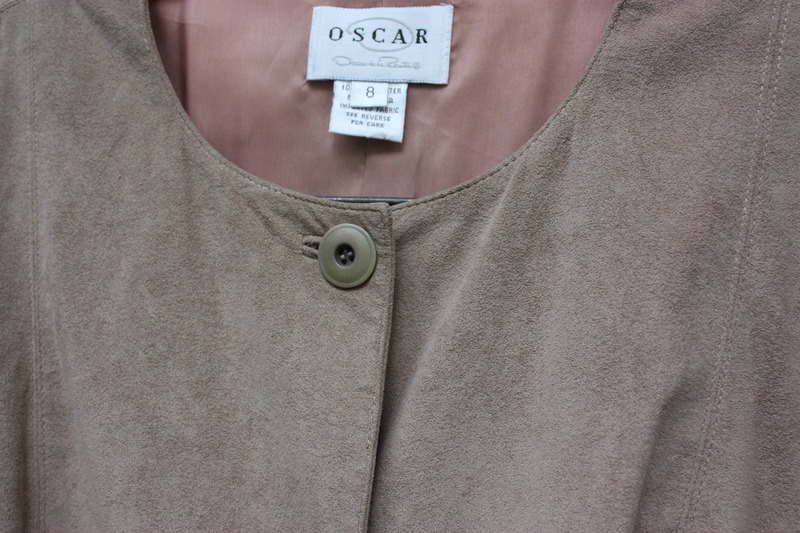 Beige vintage Oscar by Oscar de la Renta faux (very soft) suede dress. 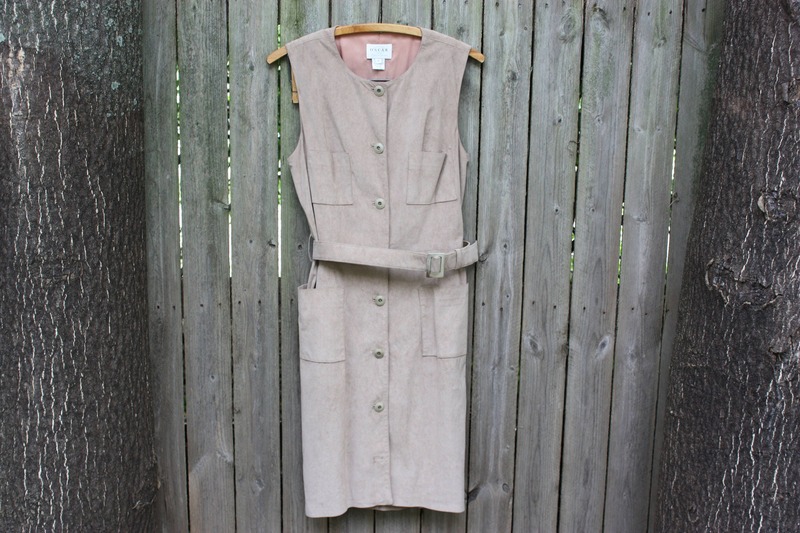 Dress is lined with a dusty rose color and has pockets on front side at breasts and hips. 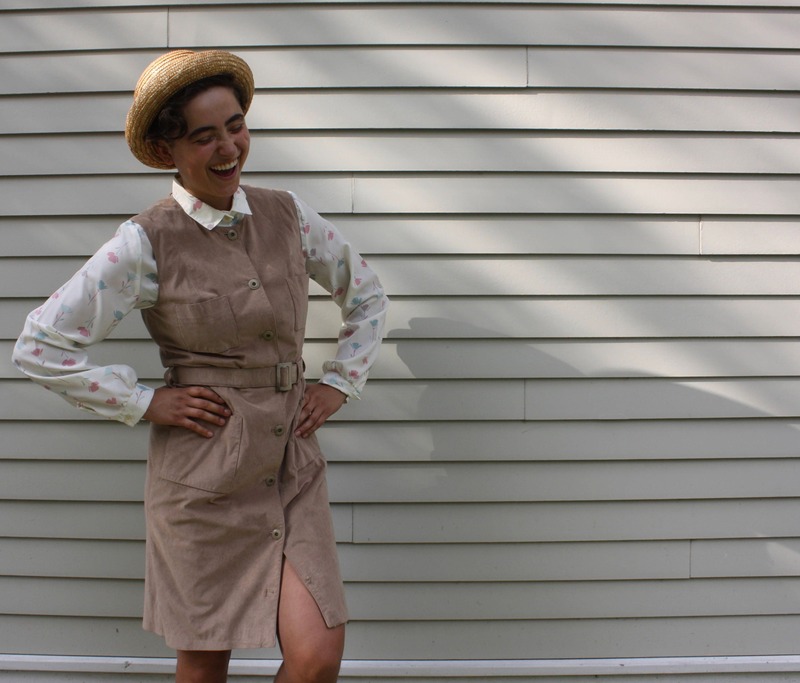 Square front pockets, matching square buckled belt and the button up front keep this dress from looking dated. Looks great with our without shirt underneath. Condition: Very Good Vintage. Missing Bottom Button. No rips, stains or tears. 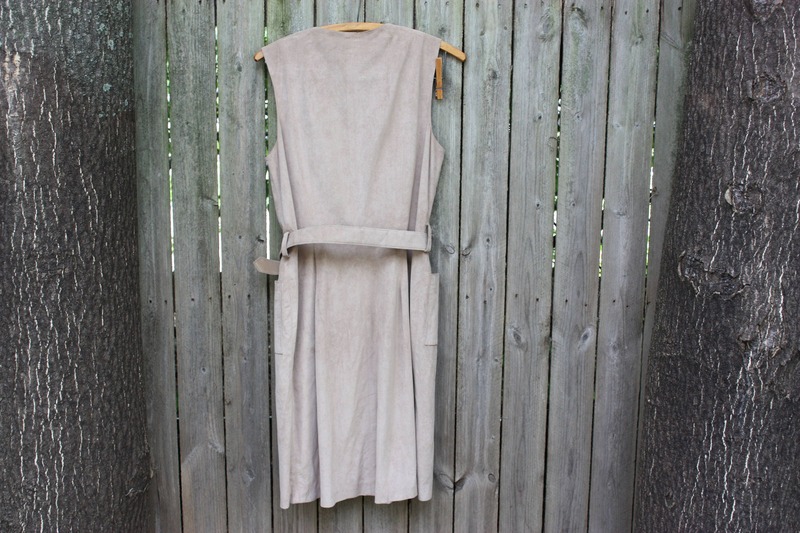 Width of Front "straps": 4"